MainAll NewsMiddle EastWill Filipino flights to Israel go through Saudi Arabia? Will Filipino flights to Israel go through Saudi Arabia? Philippine government reportedly in talks with Saudi Arabia for the rights to fly through its airspace on a direct flight path to Israel. The Philippine government is said to be in talks with Saudi Arabia for the rights to fly through its airspace on a direct flight path to Israel, i24news reported Wednesday, citing local Philippine media. The negotiations are underway ahead of the anticipated launch of direct Manila-Tel Aviv flights by the state-owned Philippine Airlines this year, the reports said. “We have rights already as far as Israel is concerned. Hopefully, we should get to overfly Saudi Arabia to Israel,” Philippine Transportation Undersecretary Manuel Tamayo was quoted as having said. He added that securing Saudi overfly rights would reduce the travel time on the Manila-Tel Aviv route by at least one hour. 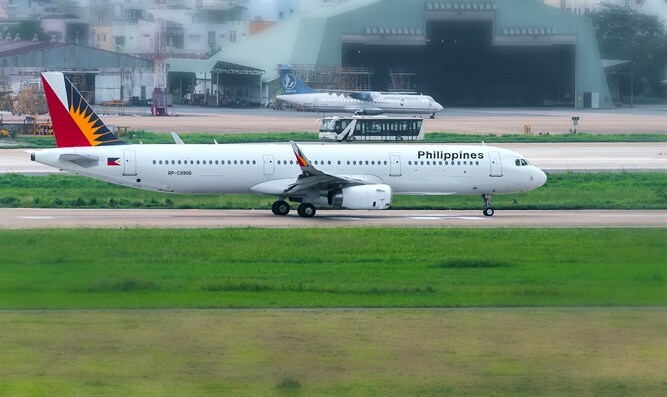 Israel and the Philippines signed a bilateral air services agreement in 2013 allowing the countries to fly between any of their cities 21 times per week but so far, no direct flights have been launched, noted i24news. Philippine Airlines, the country’s national carrier, is eyeing the opening of direct flights to Israel in time for winter travel season. Last March, Air India launched direct flights to Tel Aviv which cross Saudi airspace. The move is believed to reflect growing ties between Israel and Saudi Arabia, although Saudi officials have repeatedly denied any ties with Israel. Israel’s national airline El Al, which operates four weekly flights to Mumbai, has also expressed an interest in flying over Saudi airspace in order to reduce flight time.